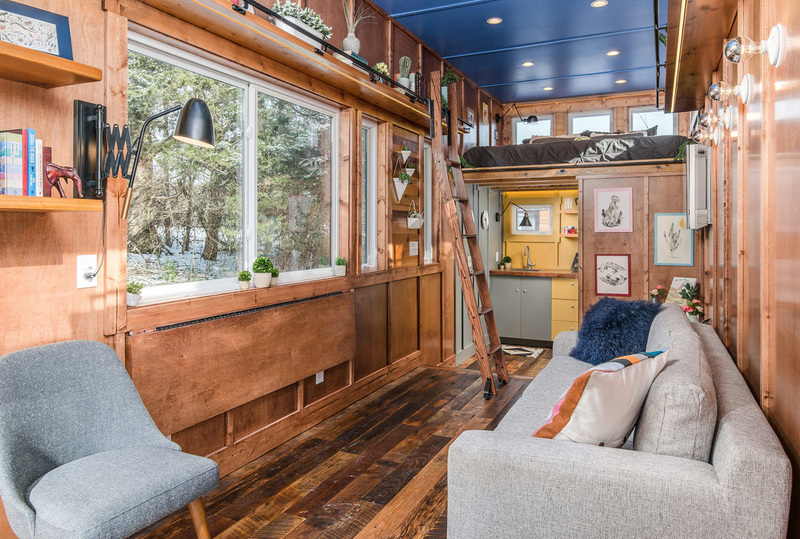 There are tiny houses for all kinds of budgets: ultra-affordable, do-it-yourself affairs, or vehicles converted into tiny houses on wheels, and on the other end of the spectrum, high-end, luxurious tiny gems that have price tags to match. 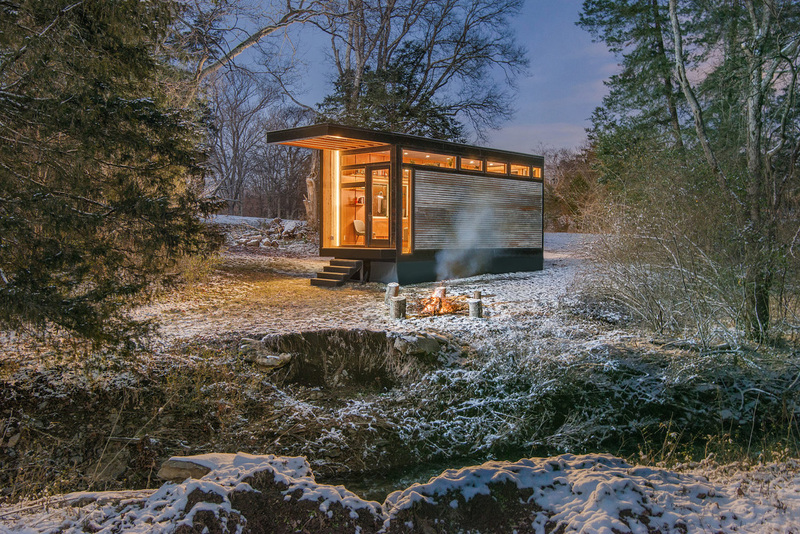 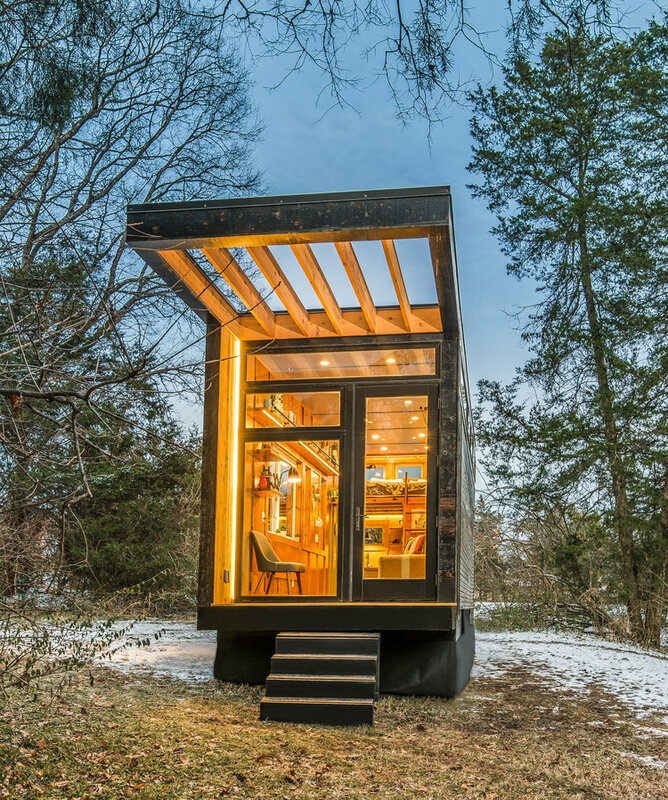 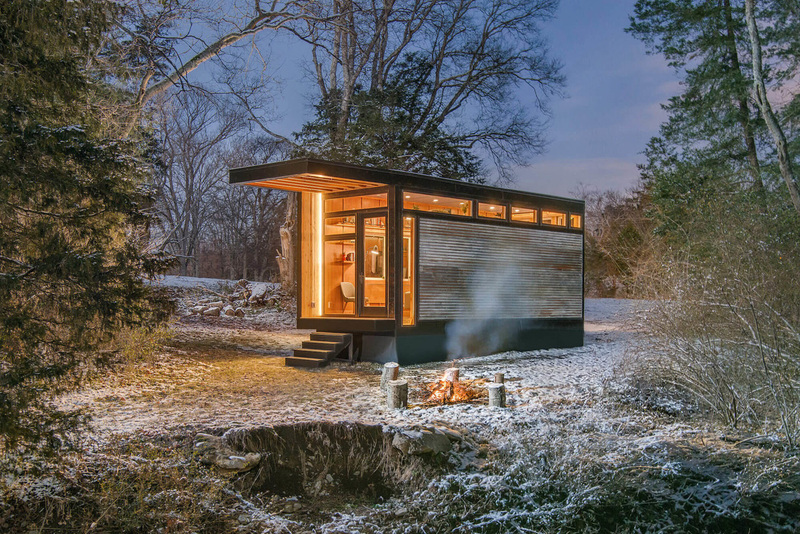 Designed and built by Nashville, Tennessee company New Frontier, this tiny house comes into the latter category. 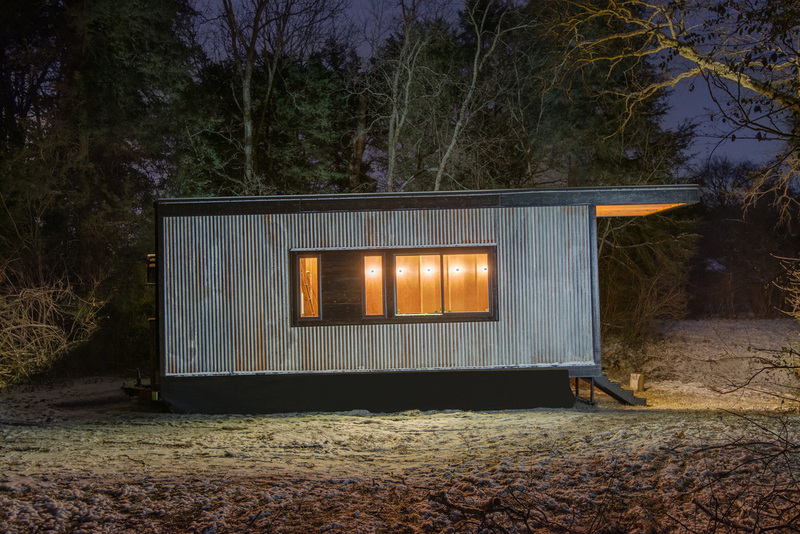 It’s a small-scale guesthouse when not occupied, but also a writing studio and library for author Cornelia Funke. 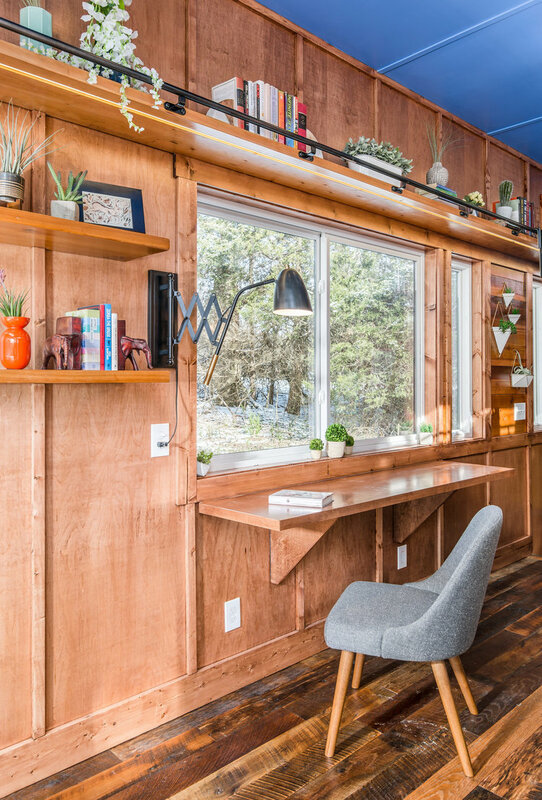 It’s all about natural daylighting here: constructed on a 24-foot-long trailer and measuring 8.5 feet wide, the elegant yet rustic dwelling features a large glazed front facade, as well as a clerestory of windows that permits the sunlight to pour in — no doubt imparting great inspiration for productive writing sessions. 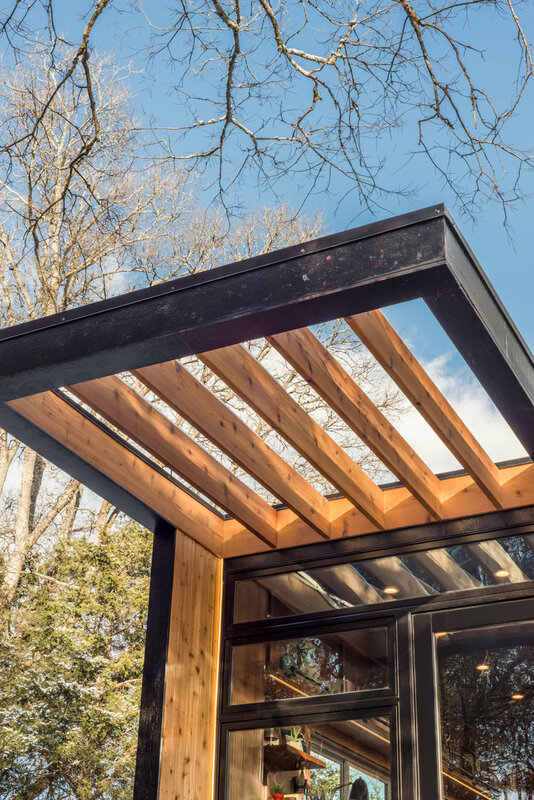 In addition, the windows above also give the impression that the roof is higher than it is, offering the impression of greater space, which is emphasized by that huge awning that projects out and beyond the well-insulated house. 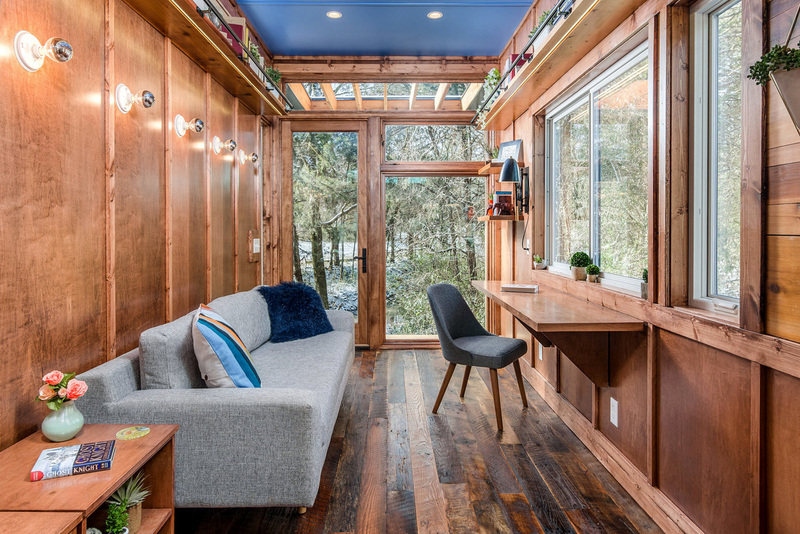 The main living room is a flexible, open space, populated by a couch, a chair, and a desk that can fold up or down when not being used. 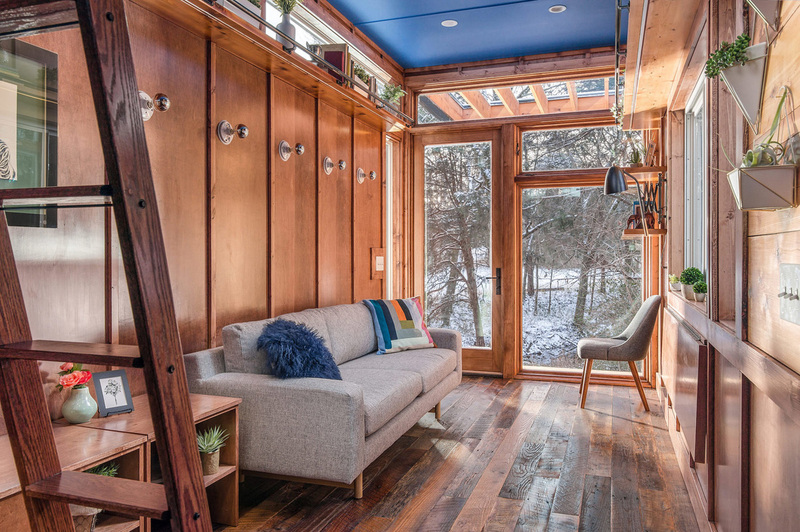 The walls and ceilings are clad with reclaimed barn wood. 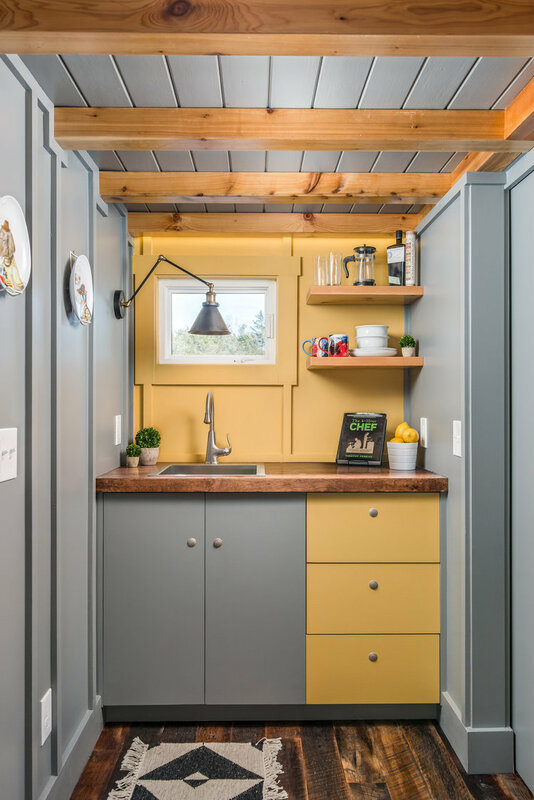 The kitchen is relatively smaller to make way for a larger living room; however, it’s still got a sink and storage, and is painted in a bold, modern colour scheme of gray and yellow. 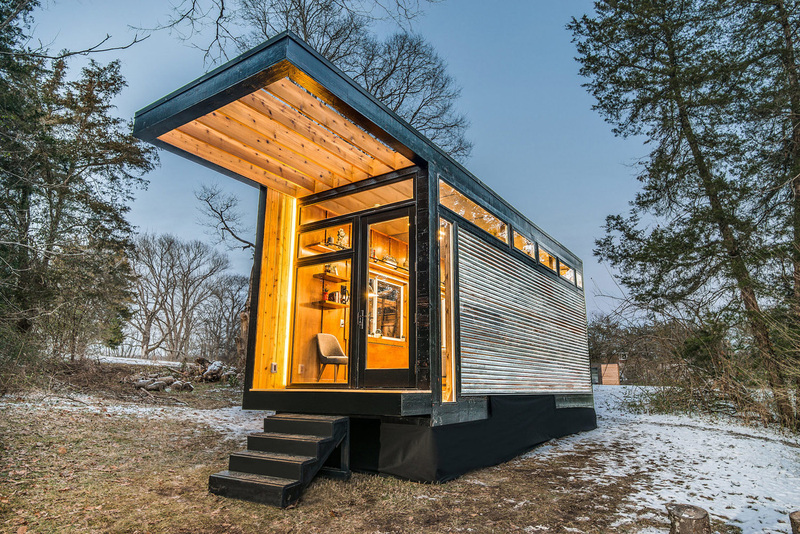 There is a hidden dishwasher in one of the drawers, to save space. 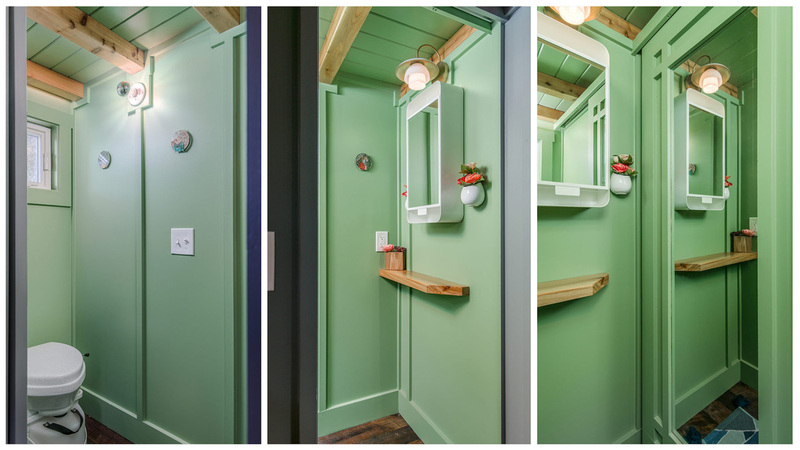 Situated beside the kitchen, the bathroom is simple but functional and has been covered in a vibrant green. 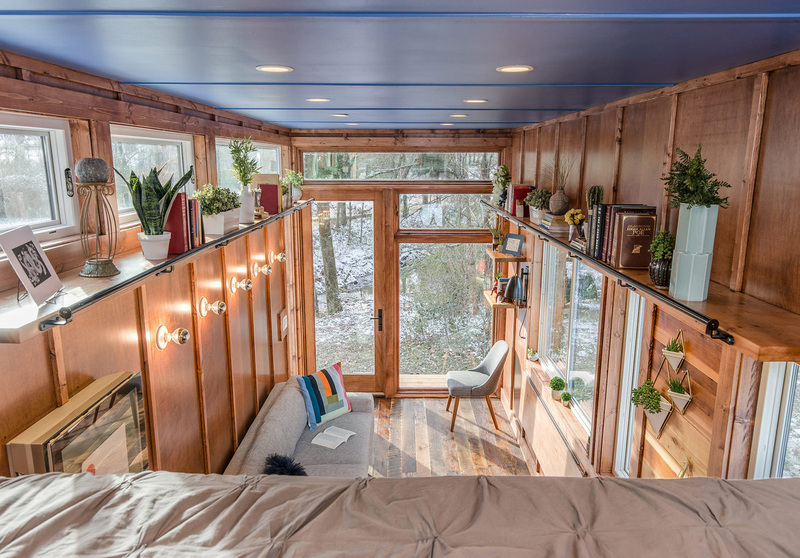 The sleeping loft is accessible via a ladder, and offers a sweeping view over the the rest of the house. 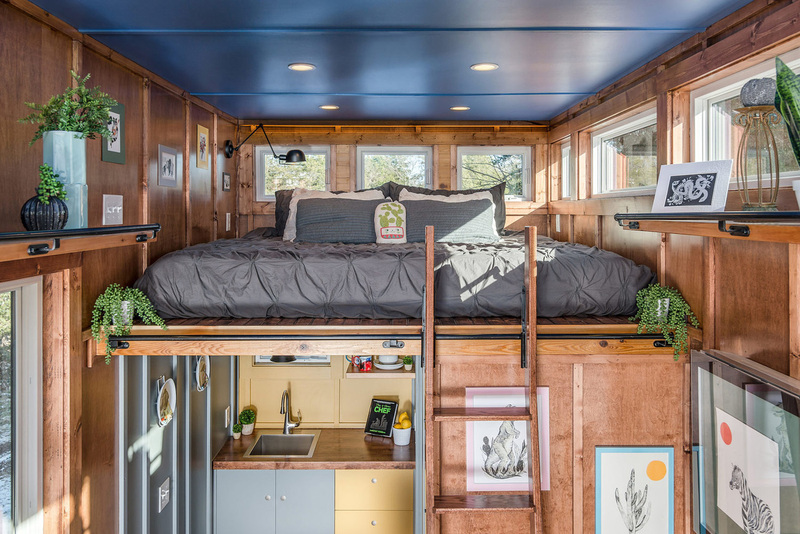 There is enough space here for a king-sized bed. 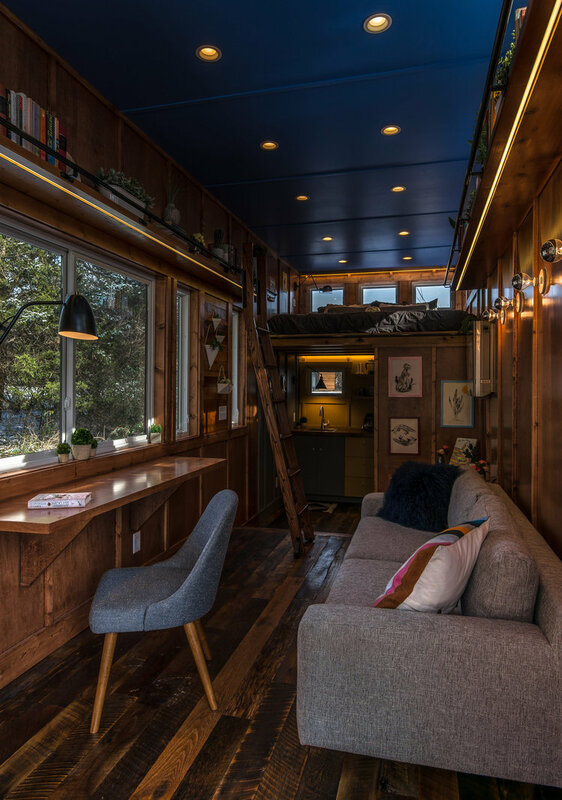 From here you can see the library shelving high up, and the rods that support the movable ladder which allows for access to books on the shelves. 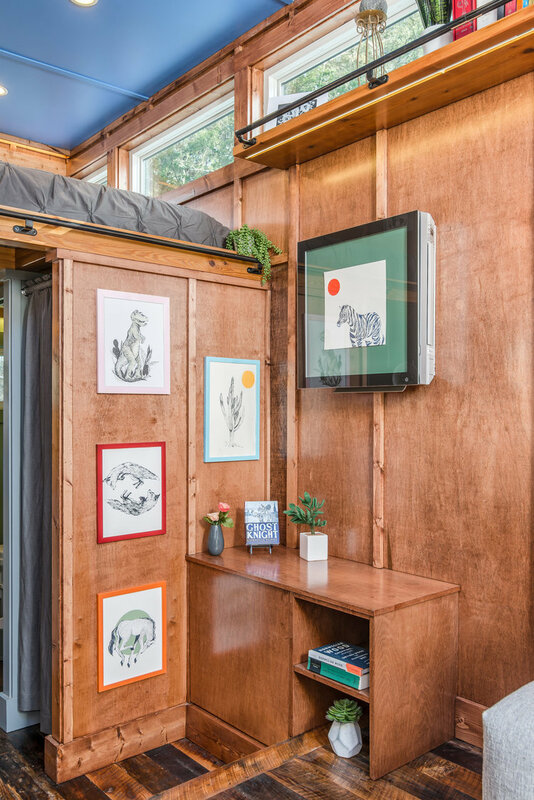 The cost for Cornelia Funke’s 204-square-foot live-work space is an eye-popping USD $125,000 – which is quite expensive for a tiny house (though the company does make a more basic version of this home for $110,000). 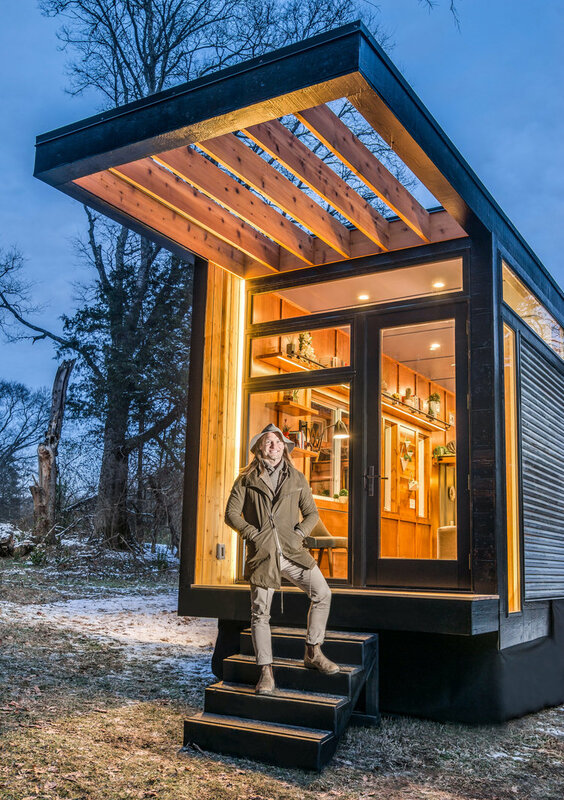 All that may seem to fly in the face of the tiny house movement’s fundamental desire for simpler, happier living with less possessions in a smaller space, but there’s still plenty of positives of at least embracing the concept that ‘smaller is better’.